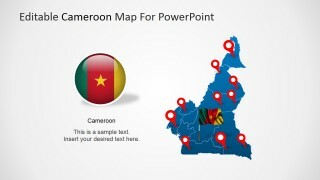 The Editable Cameroon PowerPoint Map is a professional presentation that contains several versions of the political outline map of the Republic of Cameroon. 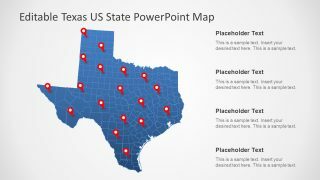 Each PowerPoint Map is created as a composite of PowerPoint Shapes that represent each state and region of the country. 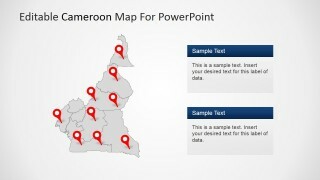 The user can ungroup the maps and use each state as an individual Clipart. 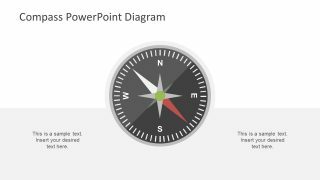 The PowerPoint Shapes are created as vector graphics, allowing the user to fully customize their appearance, and even more, the shapes visual quality will not be distorted or pixelated through repetitive resizing or editing. 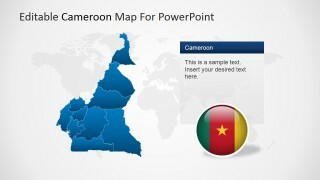 The Republic of Cameroon is located in the center of Africa. 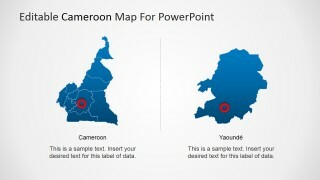 It borders with Nigeria, Chad, The Republic of Central Africa, Equatorial Guinea, Gabon, and the Republic of Congo. 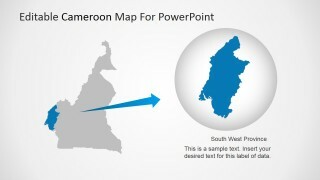 Cameroon tourism provides different landscapes and climates. 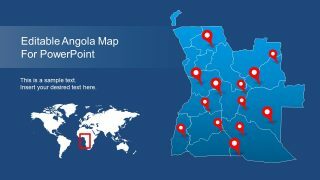 Tourists can visit their beaches, mountains, rainforests, savannas and even desert. 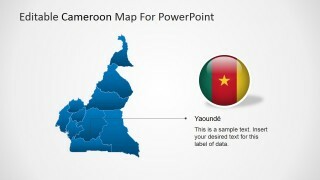 French and English are the official languages of Cameroon. 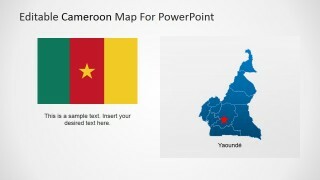 Yaoundé is Cameroon’s Capital city, and is the second largest city of the country after the port city of Douala, which is considered the economic capital. 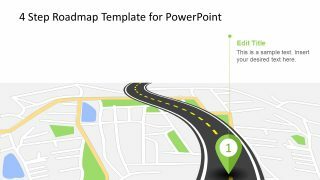 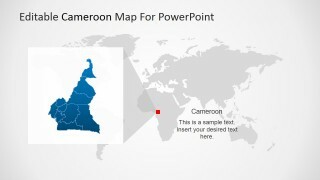 Ideal for describing business trips, or economical indicators, the editable cameroon PowerPoint map is a professional tool for presenters requiring high quality political outline maps for PowerPoint.